Keep your blades dry! Get rid of that old kitchen towel. These hockey towels are great for drying your skates after your practice or game. 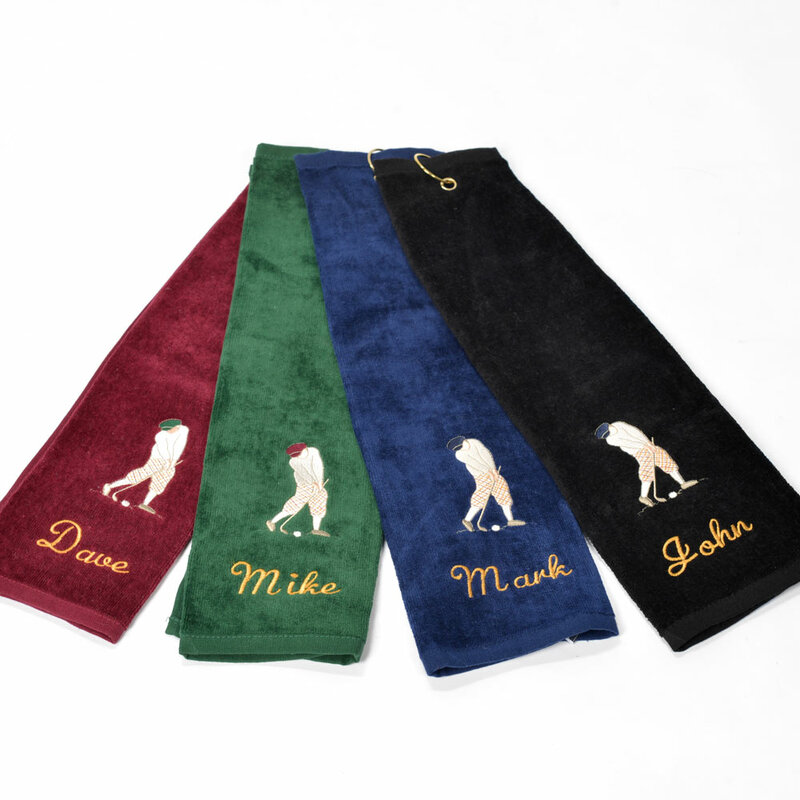 You may include a name or a team name on the towel. 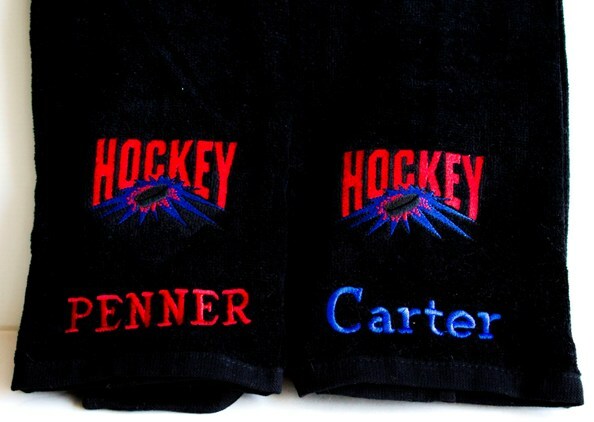 Our towels are 100% cotton in black with a hockey emblem. Choose between Red and White for the embroidery.